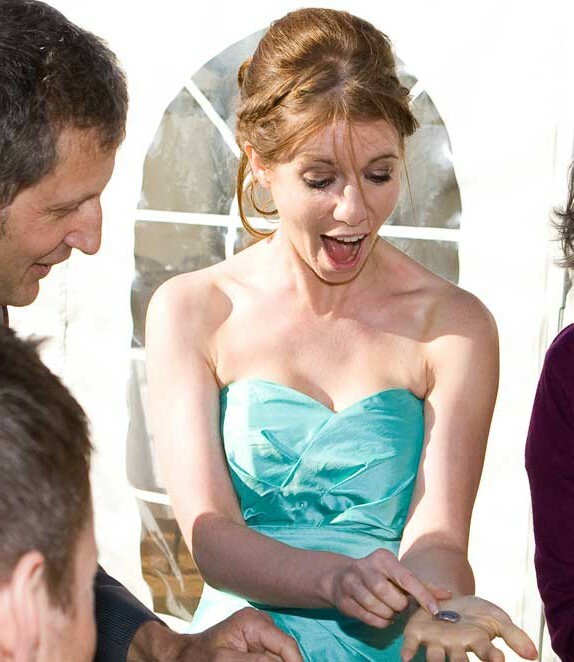 You want your wedding day to be a special occasion, of course you do! Whether you’re thinking about booking the venue, making a guest list, or looking at dresses and cakes, there is just so much preparation and planning. But what can you do to make your wedding different? What can you do to make your day stand out from the crowd? Every great party needs sparkle and my magic will add that and plenty more! I can help make your day truly magical, make it a day full of surprises and excitement that you and your guests will always remember. 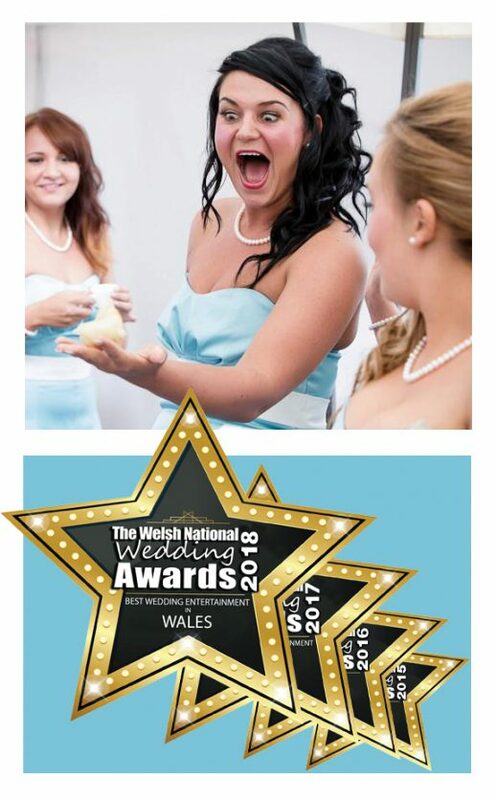 In 2015, 2016, 2017 & 2018 I won the Best Wedding Entertainment category at the Welsh National Wedding Awards. This prestigious award is highly competitive and a real honour to win. With my twenty years professional experience I can turn your wedding into a day of wonder and amazement, making it a uniquely memorable occasion. 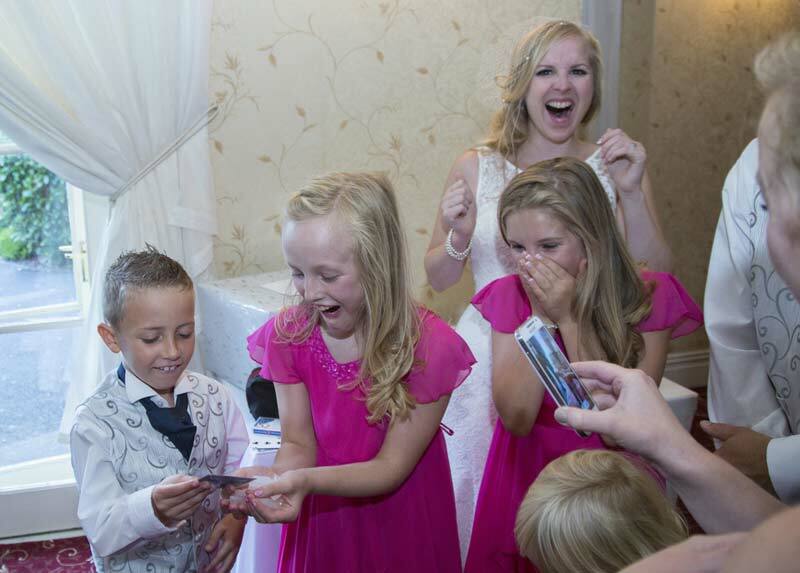 Close-up magic is ideally suited for weddings and acts as the perfect ice-breaker, ensuring everybody feels relaxed, involved and has a fantastic time! “Everyone loved you and we are still talking about you!" “Everyone was amazed by you and are still talking about the magic! Definitely highly recommended." This is a great time for the magic to happen and I will include everybody in my performance leaving behind me a room full of laughter and amazement! As the guests come and go to the photographer I will entertain all those on the side-lines making sure that their day is memorable and magical. During the wedding breakfast is another time the magic can be performed. I will perform table magic between the courses and finish with something special for the top table. 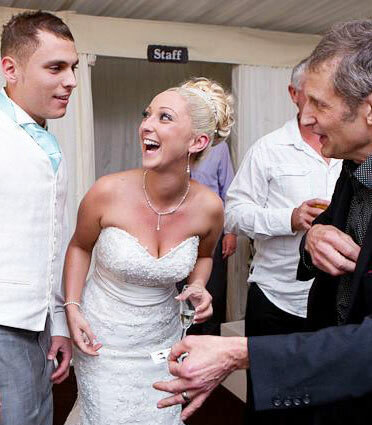 One of the most popular times for the magic to take place is after the speeches. During this time the room is often being turned around and guests will converge on the bar or move into another room. 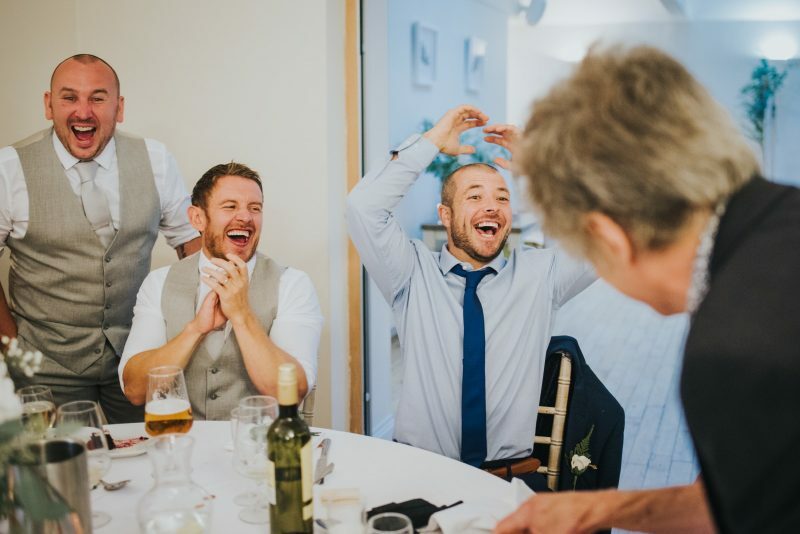 This is a great moment for the wedding magic to take place - the gasps and applause that follow me create a wonderful atmosphere in the room. Don’t forget, at weddings there are often groups of children who need entertaining and I will perform for them wonderfully visual magic making them feel included and special. My prices are realistic and I offer a money back guarantee if you are not completely satisfied. To make a booking or to find out more please contact me for a no obligation quote. If you have any questions please get in touch and I will be delighted to help. "Our guest were all in raptures over you and found you absolutely mind blowing!"